"It's no longer a dream to end the sufferings of tumor patients without surgery," said Mohamed Hamed, associate professor of Cairo University, at the closing ceremony of a workshop on a China's ultrasound therapy for treating tumors Tuesday. The 14-day International Workshop on Ultrasound Therapy of Tumors has been held in Cairo in cooperation with the Chinese Ministry of Science and Technology, China's Chongqing Medical University and the Egyptian Society of Interventional Radiology. It is the first ever training workshop held overseas on the China's High Intensity Focused Ultrasound (HIFU). "We have been training physicians from different Egyptian provinces and different Arab and African countries," Hamed, who was supervising the HIFU training program, told Xinhua. Some 23 doctors from Egypt, Sudan, Yemen, Kuwait and Nepal were trained for the therapy under the auspices of the Chinese government, he added. The HIFU technology, which was put into use in Egypt 18 months ago, has treated over 100 malignant tumor cases, mostly breast, liver and uterus cancers, said Hamed, who is also chairman of the HIFU Egypt Center. The HIFU is a non-invasive therapeutic technique that uses non-ionizing ultrasonic waves to heat tissues. It can be used to increase perfusion in a certain area or destroy the diseased tissue such as tumors through a number of mechanisms. From 2012 to 2016, the Chongqing Medical University has organized five similar workshops and trained 104 doctors from major hospitals in 30 countries including Egypt, India and Ghana. "The joint workshops have been a significant step for advancing scientific and technological exchanges between developing countries in the field of ultrasonic medicine, and for promoting the clinical application of Chinese ultrasonic equipment worldwide," said Chinese physician Anne Fu. "Nearly 40 percent of women in the world suffer fibroid and many are forced to remove their uterus, which is a horrible surgery," Fu told Xinhua. With the HIFU technology, "we give hope to women to keep their organ and give birth," she added. Even in cases that require surgery, the HIFU gives patients hope to survive longer, improve life quality and help the patient live without pain, Fu said. 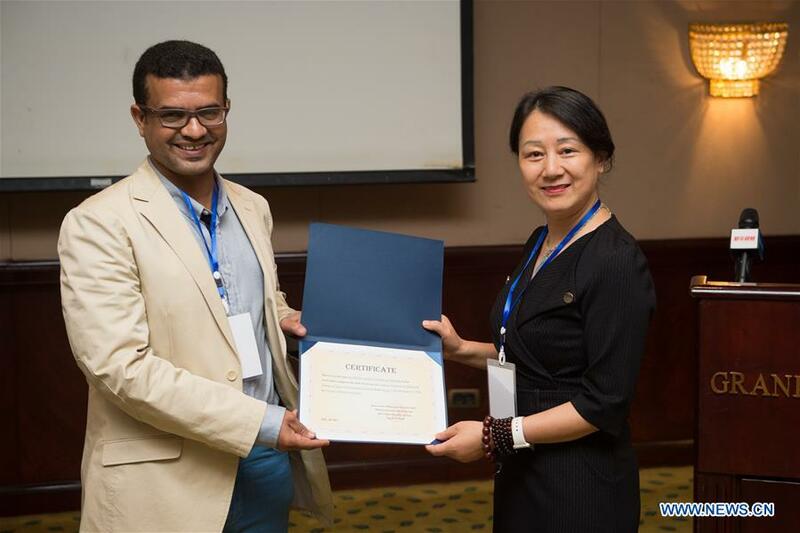 Shady Hanafy from the Egyptian coastal city of Alexandria was among the three Egyptian trainees who went to southwest China's Chongqing Municipality for the international workshop in 2016. "It was a great opportunity to know about the invention of that sophisticated technology and, moreover, get engaged with Chinese culture which matches ours," Hanafy said. This year, Hanafy has been focusing on the application of HIFU on a variety of cases. He said he was surprised about its different usages, which are still new and expensive in Egypt. Another trainee from Sudan, Ihab Aly, said "no one would imagine one day that a patient with tumor could be treated without opening a hole in the body." "I wish the cooperation would continue to offer the HIFU technology in Africa," he added, saying life of patients would dramatically change with the HIFU. The HIFU was known in diagnosing diseases, but after development of the magnetic resonance waves, it was used for non-invasive ablation. Researches on the therapeutic side of HIFU started in China in 1988 and the first clinic for treatment was opened in 1997. Another international workshop on the HIFU will be organized in China next year with participation of trainees from more countries, added Fu.